My New Year’s resolution this year is to have more leisure time for myself and therefore, I am hoping that most of the food I cook will be quick and easy to make without losing any of the taste. Here’s my first quick and easy dish for this year. It’s winter time in UK so it’s nice to be able to cook something warm and tasty that everyone can enjoy. This dish is lovely to have on it’s own as a lunchtime snack or can even be served as a starter with some lovely garlic rolls – a recipe I hope to post for you next week. 1. Wash and soak the rice in cold water whilst you prepare the vegetables. 2. Wash and peel the carrots and chop or grate them. 3. Chop or grate the onions and garlic too. 5. 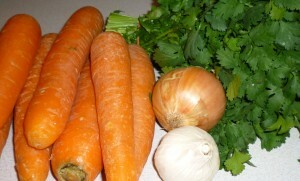 Add the carrots, onions, coriander and stir. 6. Add boiling water to the vegetable stock and add to the carrots. 7. Drain and add the rice. 8. Cover and cook for 20 minutes on a medium heat. 9. The soup should now be cooked. Add the fresh coriander. 10. Using a food processor, blend the soup. As this soup has cooked rice, it makes the soup rich and creamy. 11. If the soup feels too thick, you can add half a cup boiling water. 12. Just before serving, you can add cream, yogurt or butter if you like. I added some fresh yogurt and it tasted great. 13. The carrots I had were bought from the local farmer’s market and were really sweet and juicy so did not need much garnishing. However, you can add salt and pepper or even chilly flakes to the soup depending on your preference. Tagged recipe, Soup. Bookmark the permalink. 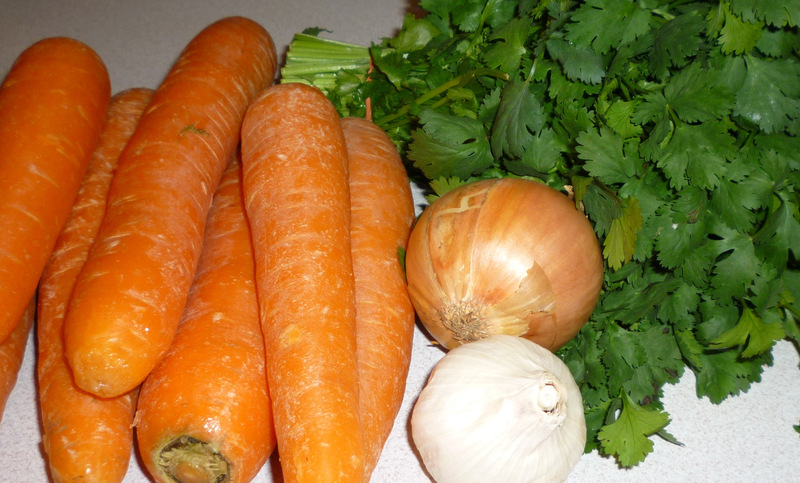 * Wow *….Carrots and Coriander soup..! 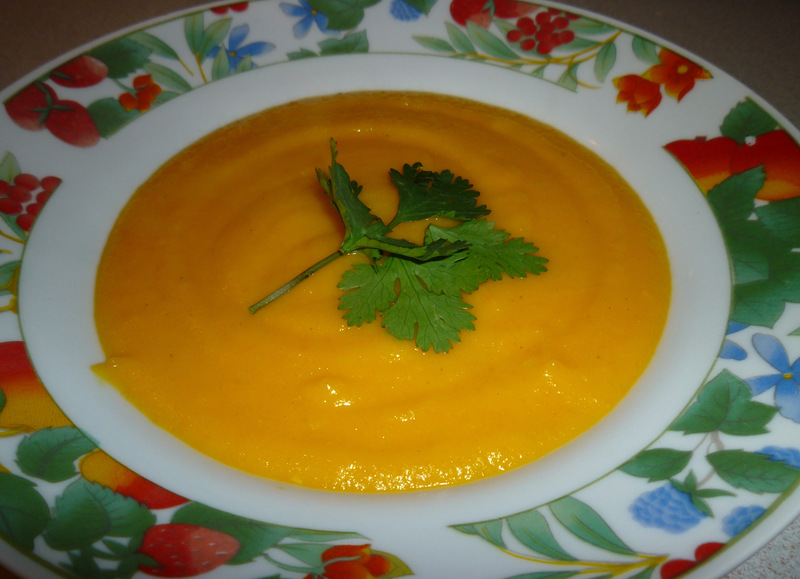 !….delicious, nourish and …light soup..appropriated for the winter season…! !